Ever wondered what Venice must have been like before it was overrun by tourists? Well there is some wonderful news... it still exists... and it is fabulous. It's probably the only part of Venice where locals far outnumber tourists - even in July and August. I remember the first time I visited with my husband - he was looking like a typical tourist - camera, baseball cap. Anyway, an old lady of well over 80 came up to us and asked "are you tourists?" Apprehensively, my husband said he was. She was so over the moon, told us: "it's so lovely to see tourists here, do you like the island I grew up on?" We both answered that we loved it. It was the right answer. She was so happy she couldn't stop talking, told us to come to the festa the next week - the last week of June - she'd be making over 200 kilograms of spaghetti and she'd keep a good few plates for us... we just needed to ask for nonna Gabriela. Where else would you find that in Venice? Anyway, we came back for the festa and that is when you should come too. It is exceptional. An experience treasured by Venetians - this is their festa. Not like the Venice Film Festival and Venice Carnival, both of which are dominated by tourists. It's nothing fancy either - I'm glad about that too. It consists of lots of tables set up across the island with lights strung along the square and between trees in the parks. Tables are weighed down with huge helpings of local specialties like bigoli, various other pastas, seafood dishes galore, traditional sausages and much else too. As the sun sets and the huge feast winds down music starts up in front of the cathedral. The dancing goes on until late into the night. The first Sunday of the festival includes a moving celebration of the Eucharist in the cathedral and the entire week of the festa consists of daily choral singing and other events in church, mixed with lots of eating, concerts and regattas. To me this festa encapsulates everything the Venetians hold dear: their religion, family, the lagoon and of course food. It is the only festival that allows you to truly understand the Venetians. ... And I ate way to much of nonna Gabriela's pasta. Inhabited long before Venice itself, the name of San Pietro di Castello derives from the castle that was here on this tiny island in the 8th century. 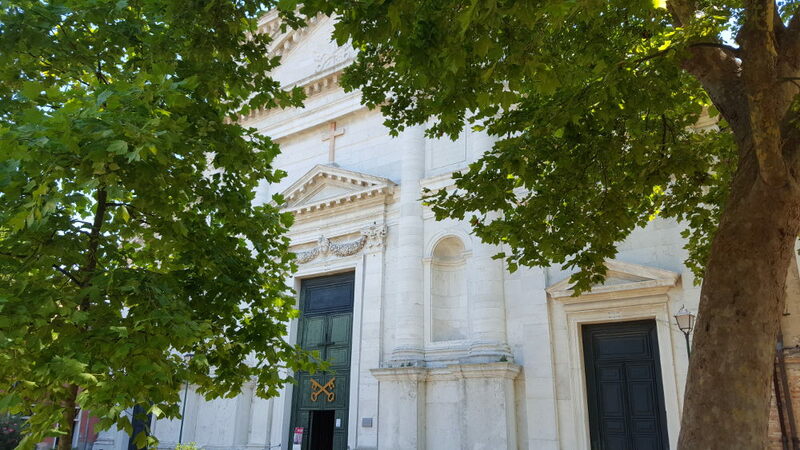 There's lots to see in Castello itself but on the island of San Pietro the cathedral is the main attraction. It is one of the oldest in Venice, dates back to the 12th century and was the seat of the Patriarch of Venice - Venice is one of only four places on earth to have a Patriarch. 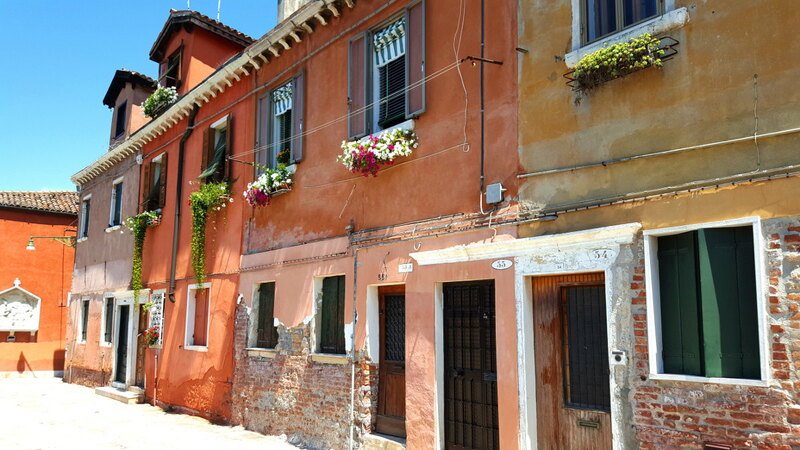 The facade was re-designed by the famous architect Andrea Palladio in the 16th century. Wondering around the island the greenery of the place comes as something of a surprise. Venice has few green areas whereas this island is half park. Watching mothers gossiping while their children run free and happy through the gardens is a beautiful experience. The few accommodation options on the island itself are not worth bothering with, rather stay in Castello and walk over to the island. 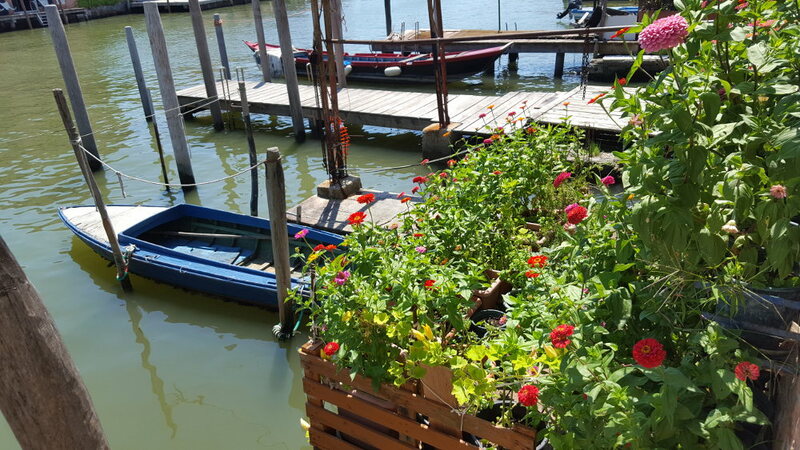 The Ca' Greco apartments, are right across the water and offer you the chance to experience what living in your own apartment in Venice would be like... the answer is wonderful but come and enjoy it for yourself. Should you prefer a hotel the nearest really good one is the lovely Hotel Bucintoro, which is a 15 minute walk away from the island. Here for the festa? You'll have more than enough to eat. Not festa time? Try the Trattoria alla Nuova Speranza, just across the bridge from the island in Campo Ruga 145. It's a family run trattoria serving hearty portions of local dishes - just the kind of place I love. 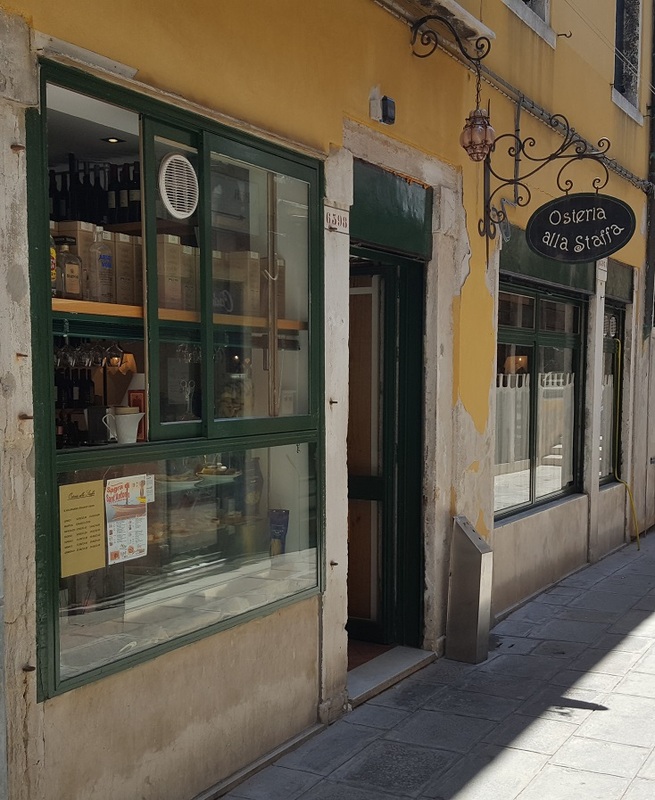 Another favorite of ours is about a twenty minute walk from the island, it is the Osteria alla Staffa in Calle Ospedaletto, 6398. Their dishes are those of the Venice area, many made according to family recipes handed down through countless generations. They've embraced the modern conventions of the Slow Food movement by using only fresh local ingredients wherever possible. The owner told me that this "modern" idea is the way they've done things here for centuries - whatever was fresh and in season at the open-air market was what people used to make their meals with. The result is invariably superb. Walking is best - from St. Mark's Square it takes around 30 minutes. Alternatively, you can take the water bus number 1 to San Pietro di Castello which is a 5 minute walk from the island. 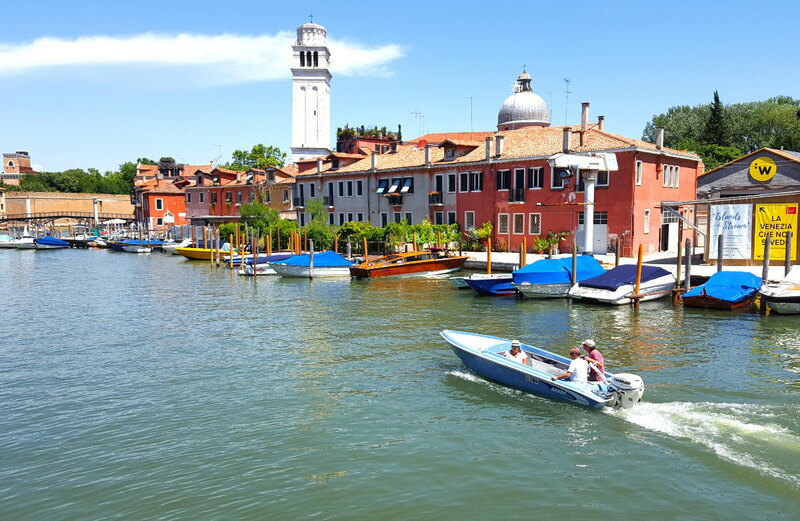 You'll save a bit of energy by water bus but you'll miss the experience of walking and seeing the transition from the Venice of the tourist to the Venice of the Venetians.